I'll take one piece of all, please. Come see my RUBIES when you get a chance. Buy and send me some! Yum! Those tarts look delicious. Thanks for visiting! 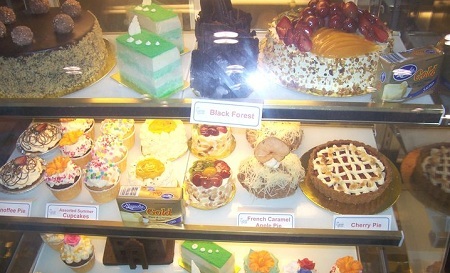 Those cakes and tarts do make my mouth water! what a delish treat Sis :-) Visiting from Ruby Tuesdays 2, hope that you can return the visit too. visiting u back from RT!